December 2018 in Make It So! Its a really small change. The code is already in the game, so the amount of work would not be as bad as other solutions. 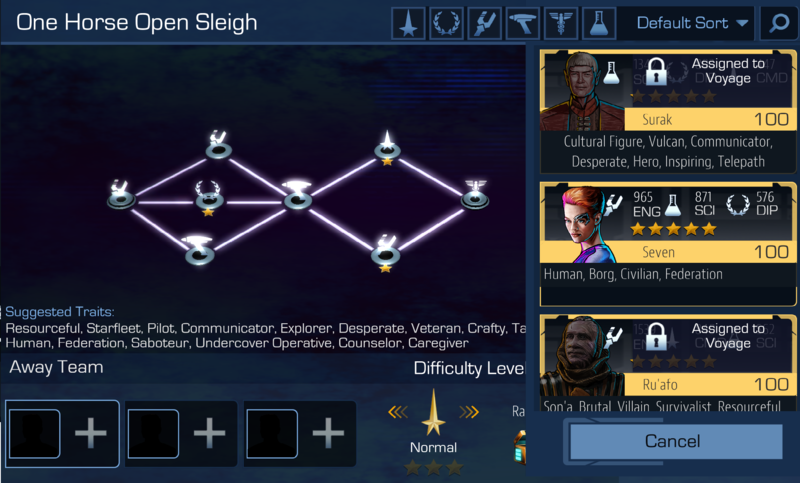 It uses the existing favourite system (hearts) to display crew for expedition events. And it makes people happy. Well, they added this feature to skirmish....crossing my fingers they did the same to Expedition.